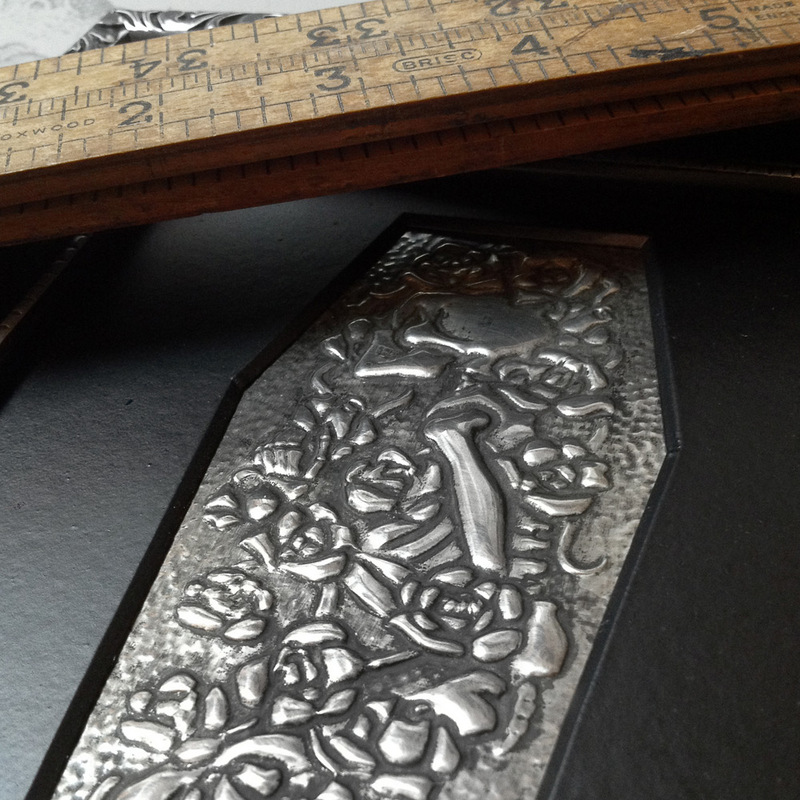 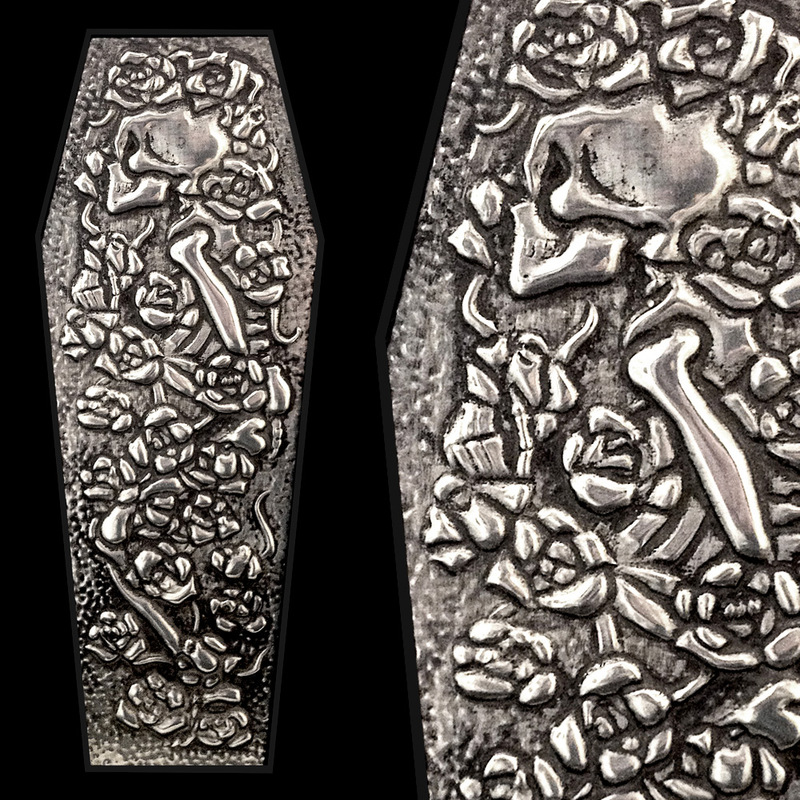 Embossed panel: 14.5cm x 5.5cm / 5.7" x 2.2"
A skeleton sleeps eternally, buried under twisting roses. 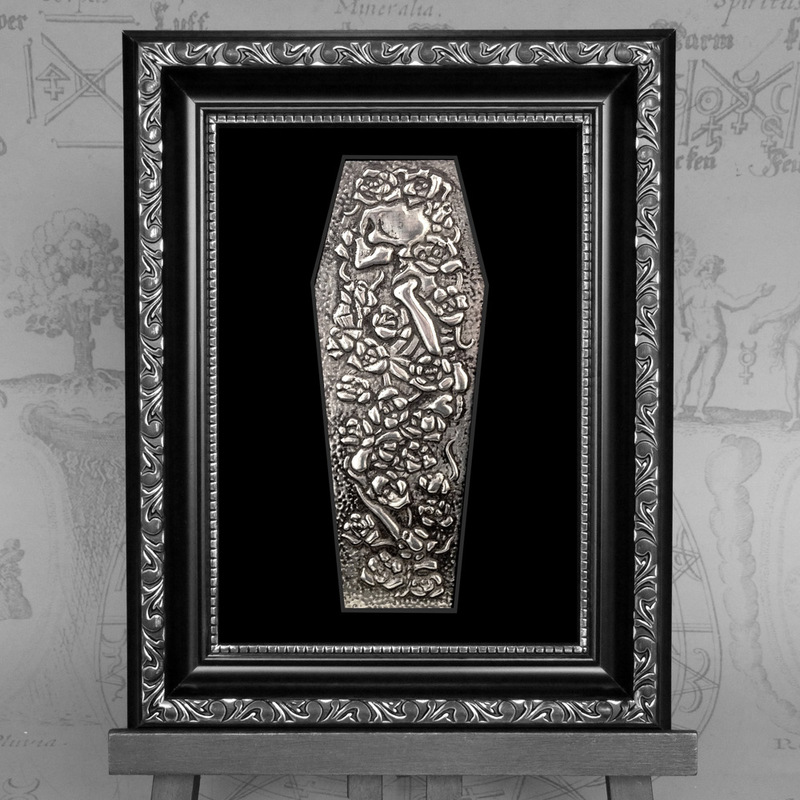 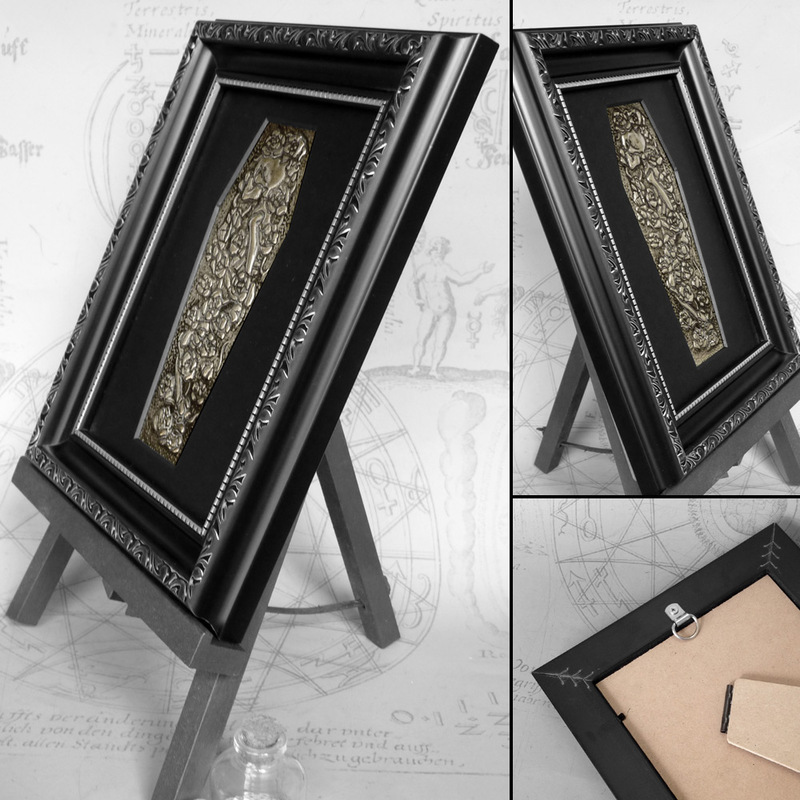 This piece is placed under a coffin-shaped mat and framed in an ornate black/silver frame. 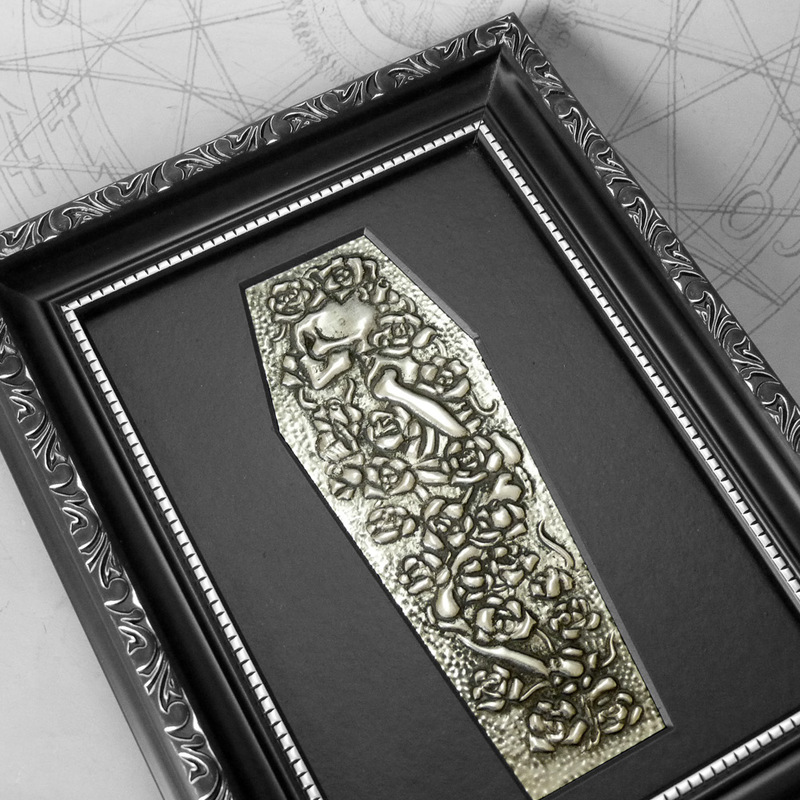 This piece has a hook for hanging and also a fold out stand so it can be placed on a flat surface.